5) Want a Cup Holder? -Scans your PC for infections of Trojans, Viruses, Spyware, Adware, Worms, Bots, Keyloggers and Dialers. Avira AntiVir Personal is a comprehensive, easy to use antivirus program, designed to offer reliable free of charge virus protection to home-users, for personal use. 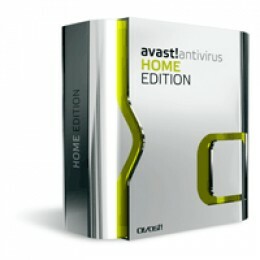 Protects your computer against dangerous viruses, worms, Trojans and costly dialers. Malwarebytes' Anti-Malware is designed to quickly detect, destroy, and prevent malware. Malwarebytes' Anti-Malware can detect and remove malware that even the most well known anti-virus and anti-malware applications fail to detect. Malwarebytes' Anti-Malware monitors every process and stops malicious processes before they even start. Anti Trojan Elite(ATE) is a malware remover, it can detect and clean malware in disk or memory. Anti Trojan Elite provide a real-time malware firewall for user, once a trojan or keylogger would been loaded, the ATE can detect, block and then clean it in time. 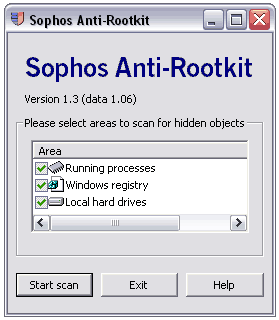 Sophos Anti-Rootkit scans, detects and removes any rootkit that is hidden on your computer using advanced rootkit detection technology. Rootkits can lie hidden on computers and remain undetected by anti-virus software. Although new rootkits can be prevented from infecting the system, if you had any rootkits before you installed your anti-virus, they may never be revealed. Protector Plus - Windows Vulnerability Scanner checks your system for Windows Vulnerabilities. It guides you to update with the right patch to make your system secure. This program is updated regularly by Proland Software to detect all the vulnerabilities discovered. tl;dr - it logs everything that runs. You need figure out what's good and what's bad. Now you can make your own user bars however you want whenever you want, with high quality and professional results! You can even make them for your own games for others to use! GIF to Flash Converter is a powerful conversion tool that lets you convert animated GIF to AVI, SWF, FLV flash and various image file formats such as BMP, JPEG, GIF, PNG, and TIFF in just few seconds.The main features contain ability to define size, quality, frame delay and apply many useful effects on output files, also useful for webmasters who want to place graphics on the website. A utility for creating accurate thumbnail images and scaled-down/up copies from a wide range of popular picture formats. An elegant interface makes it a snap to find your images and select them for processing individually, in groups, or in whole folders, using a simple file selector and built-in image viewer. You can use slider controls to rotate images and adjust their contrast, brightness, sharpness and quality, and check out the results with the built-in viewer. This place is LOADED with drawing/designing freeware. Eat your heart out. UnFREEz is a high-speed Windows application that will take any number of images, saved as separate GIF files, and create a single animated GIF from those images. Any Audio Converter is a versatile audio converter and audio extractor with user-friendly interface and powerful functions. As an audio converter, Any Audio Converter can convert audio between MP3, WMA, WAVE, AAC, M4A and OGG formats as well as convert other unprotected audio formats. As an audio extractor, Any Audio Converter can extract audio from all popular video formats and online videos from YouTube, Google Video and Nico Video. You'll need this for decent editing and for exporting to MP3 in Audacity. Switch can convert numerous audio file formats to mp3 and wav for free. It is light and easy to use. Just add the files you want to convert to the list, select the format you want to use, and then click the convert button. Converts a variety of audio file formats to mp3 or wav such as: wav, mp3, mp2, mpga, m4a, ogg, avi, mid, flac, aac, wma, dct, au, aiff, ogg, raw, msv, dvf, vox, cda, atrac, gsm, dss, sri, shn, dss, msv, wmv. Any Video Converter is an all-in-one video converting freeware with easy-to-use graphical interface, fast converting speed, and excellent video quality. It can convert almost all video formats including DivX, XviD, MOV, RM, RMVB, MPEG, VOB, DVD, WMV, and AVI to MPEG-4 movie format for PSP or other portable video device, MP4 player, or Smartphones. Media Player Classic looks just like Windows Media Player 6.4, but has many additional features. It has a built in DVD player with real-time zoom, support for AVI subtitles, QuickTime and RealVideo support; built-in MPEG2/SVCD/DVD codec. Or go with the awesomely modded MediaPlayer Classic - Home Cinema with added features and plugins. Transport Stream muxer. Remux/mux elementary streams, EVO/VOB/MPG, MKV/MKA, TS, M2TS to TS to M2TS. Supported video codecs H.264, VC-1, MPEG2. Supported audio codecs AAC, AC3 / E-AC3(DD+), DTS/ DTS-HD. Ability to set muxing fps manually and automatically, Ability to change level for H.264 streams, Ability to shift a sound tracks, Ability to extract DTS core from DTS-HD, Ability to join files. 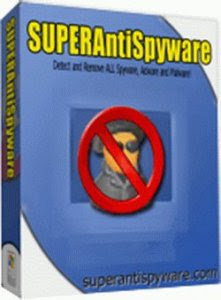 DVD Shrink is a versatile freeware tool for fitting a DVD-Video disc on a single DVDR disc. DVD Shrink is capable of both re-authoring and re-encoding the movie. It features an intuitive user interface which makes it easy to choose what to keep, and what to lose. DVD Shrinks allow the user to select compression level for each video track separately to obtain the desired disc size (which is usually below 4.38GB). The software is capable of producing either an ISO image of the ripped DVD, or a VIDEO_TS folder for further processing, viewing or burning. An advanced application for Microsoft Windows which provides one of the best optical media emulation in the industry. DAEMON Tools enables you to convert your physical CD/DVD discs into "virtual discs" so called "images". It also emulated up to 4 virtual CD/DVD drives, so you can mount (insert) and unmount (eject) images. RichFLV is a freeware program that allows you to edit Flash Video Files and then export them as FLV, MP3, SWF or even Jpeg and PNG. One of the only freeware FLV editors around. ZS4 Video Editor is video editing and compositing software which aims to provide media experts with a facility to combine a variety of media types (currently photos, videos, and audio files) into one (or more) output file(s). ZS4 Video Editor can be used like an object oriented photo-manipulation program with a timeline: things that can be manipulated in a photo (workshop) program can be manipulated in ZS4 using parameters which alter over time. ISODisk is another powerful disk image tool and it allows you to create virtual CD or DVD driver up to 20 drivers. This free program can quickly mount an .ISO disk image where we access the files on it as if it were burned to CD or DVD. With ISODisk, you don't need to install any other virtual drive software. Once you map the archive to a virtual drive, you should be able to view the contents in Windows Explorer. Prism Plus video conversion software is a video format converter for Windows and Mac OS X. It can convert video files from avi, wmv (Windows Media Video formats), 3gp (cell phone format) and more into avi, asf or wmv files. It can also convert your DVD discs into many different formats. The Combined Community Codec Pack, more commonly referred to as the CCCP, is a collected archive of codecs designed originally for the playback of anime fansubs. The CCCP is developed and maintained by members of various fansubbing groups. CCCP was created to replace the video playback packs provided by several anime fansub groups in favor of a single reliable pack capable of decoding practically any groups' files - without breaking compatibility for other formats. Since then it has grown into a pack that can decode more or less anything that you will run into during your travels on the internet. SMPlayer intends to be a complete front-end for MPlayer, from basic features like playing videos, DVDs, and VCDs to more advanced features like support for MPlayer filters and more. SMPlayer remembers the settings of all files you play. SMPlayer uses the award-winning MPlayer as engine, so it’s able to play the most known audio & video formats without any need of external codecs: avi, mkv, ogm, mpeg, vob, 3gp, asf, mov, wmv, mp3, ogg... You can also play DVD discs and Internet streams. MagicDisc is a utility designed for creating and managing virtual CD drives and CD/DVD discs. MagicDisc allows you to use almost all CD/DVD image without burning them onto CD or DVD in order to easily access your favorite games, music, or software programs ---- It works like a real CD/DVD-ROM: You can run programs, play games, or listen to music from your virtual CD-ROM. Allowing you to run your game images at over 200x faster than from a conventional CD/DVD-ROM. CCleaner (*cencored* Cleaner) is a freeware system optimization, privacy and cleaning tool. It removes unused files from your system - allowing Windows to run faster and freeing up valuable hard disk space. It also cleans traces of your online activities such as your Internet history. Additionally it contains a fully featured registry cleaner. But the best part is that it's fast (normally taking less than a second to run). WinXPatch is a registry tweaking tool provides an extensive range of tweaks for optimizing, enhancing and securing the Windows operating system. Instead of tweaking registry old fashion way, by hand. It has more than one hundred registry tweaks. This will save tremendous time for any administrator or power user as well as regular user. screw themes, u dont need these. ill get em later. This open source surveillance system can watch your home, office, or any area you want. The motion detection feature automatically starts and stops recording video and can send you a message. Supports any regular camera, including USB cameras and video capture cards. Blender is a 3D graphics application. It can be used for modeling, UV unwrapping, texturing, rigging, water simulations, skinning, animating, rendering, particle and other simulations, non-linear editing, compositing, and creating interactive 3D applications. Blender has a robust feature set similar in scope and depth to other high-end 3D software such as Softimage|XSI, Cinema 4D, 3ds Max, Lightwave and Maya. These features include advanced simulation tools such as rigid body, fluid, cloth and softbody dynamics, modifier based modeling tools, powerful character animation tools, a node based material and compositing system and Python for embedded scripting. This is a bloat-free version of the popular PDF viewer, Adobe Reader, originally brought to you by Shark007, the creator of Vista Codec Package. ComicRack is the best eComic reader and manager for Windows computers with many features not available in other eComic software. It is an all-in-one solution to read and manage your eComic library. You can think of it as ITunes for eComics with much of the same functionality. esigned to help optimize your PC for smoother, more responsive game play in the latest PC games with the touch of a button, Game Booster helps achieve the performance edge previously only available to highly technical enthusiasts. It works by temporarily shutting down background processes, cleaning RAM, and intensifying processor performance. Yes, it is. FlashGet is a leading download manager and has the highest amount of users on the internet. It uses MHT(Multi-server Hyper-threading Transportation) technique, supports various protocols and has excellent document management features. BumpTop is a fun, intuitive 3D desktop that keeps you organized and makes you more productive. Like a real desk, but better. Piles are how we organize on our real desks but computers force us into rigid, hierarchical folders. Piles are lightweight, flexible and its easy to see what's inside. Let order evolve naturally or quickly get a mess organized with a pile, you’ve got options. Free Studio is a single package which bundles all tools from DVDVideoSoft to work with DVD, video and audio files! With Free Studio you can convert video and audio files between different formats and to iPod, PSP, iPhone, BlackBerry and other portable devices; burn and rip DVDs and audio CDs; upload and download videos and music to your computer, iPod, PSP, iPhone and BlackBerry; perform basic editing of audio and video files. HJSplit is a popular set of freeware file-splitting programs created by Freebyte.com in collaboration with various programmers. HJSplit supports many platforms. All versions are compatible with each other and allow you to exchange files between these different platforms. E.g. a file split on the Amiga can be joined on Windows 2000 and vice versa. Join file with extension of ".<extention>.001" ".<extension>.002" ".<extension>.003" etc. Undelete Plus enables you to undelete files that have been emptied from the recycle bin. The program quickly scans a selected drive and presents you with a list of files that can be recovered, along with the status for each file (very good, good, bad etc.) indicating the likeliness of complete recovery. Undelete Plus automatically sorts the files based on file type and folder, making it easy to find specific files, and you can also apply a filter to search for a specific file. Also try the portable version. You've Never Seen Such Power and Flexibility In A Defragger! File Placement Options For Hard Drive Performance Optimization To FulFill Your Wildest Dreams..... And To Squeeze Every Millisecond of Performance From Your Hard Drive. Multi Password Recovery (MPR) - multifunctional password recovery and auditing solution for Windows. MPR instantly finds and recovers passwords from more than 90 popular applications (FTP, E-mail clients, Instant Messengers, Browsers and so on). It also checks saved passwords for vulnerabilities, can delete lost and stored passwords, shows passwords hidden behind asterisks, copies SAM file, can generate new passwords. A great pack of Control Panel extensions to allow more control over you system. With Kel's CPL Bonus, you'll never have to get another control panel extension. Notepad++ is a free source code editor and Notepad replacement that supports several languages. Running in the MS Windows environment, its use is governed by GPL License. Based on a powerful editing component Scintilla, Notepad++ is written in C++ and uses pure Win32 API and STL which ensures a higher execution speed and smaller program size. By optimizing as many routines as possible without losing user friendliness, Notepad++ is trying to reduce the world carbon dioxide emissions. When using less CPU power, the PC can throttle down and reduce power consumption, resulting in a greener environment. UltraDefrag is a powerful Open Source Defragmentation tool for Windows Platform. It is very fast, because the defragmenting is done via the kernel-mode driver. There are three interface available : Graphical, Console and Native.